This is a comforting gift to receive during a difficult time. Let your loved ones enjoy exquisite baked goods, including our sweet apple loaf cake, lemon citrus shortbread cookies, and more. We use only the finest ingredients and craft each treat in small batches in our Southern Oregon bakery. 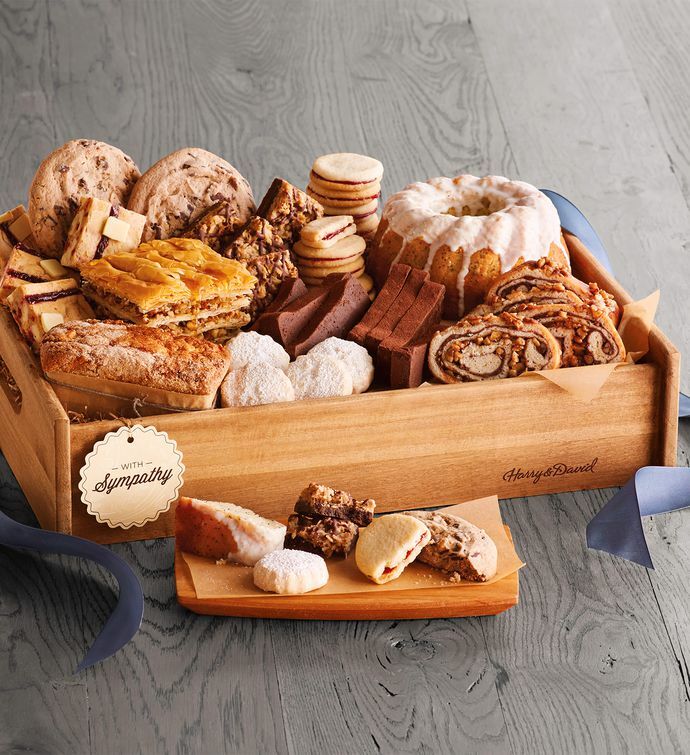 This sympathy bakery gift basket is truly a gift from the heart that comes complete with a handled wooden tray and hand-tied bow.